The Trump administration is trying to weaken protections for threatened wildlife species that are already struggling to survive. California is home to more threatened and endangered species than any state except for Hawai’i. But the California State Legislature is considering a landmark bill that would ensure that protections are maintained at the state level, no matter what hostile attacks come out of D.C.
SB 49 would help protect threatened wildlife like the western snowy plover, California red-legged frog, and California gnatcatcher, as well as whales, sea turtles, and southern sea otters, on top of dozens of other imperiled species. Urge Governor Jerry Brown to support SB 49 and help protect threatened and endangered species in California. The California State Legislature is considering a critical bill that will help protect California’s wildlife from Trump’s anti-environment agenda. Urge Governor Jerry Brown to support SB 49! Dear Governor Jerry Brown: As a California resident, I'm writing to express my support for SB 49. This much-needed bill would help safeguard our state's clean air, drinking water, and endangered and threatened wildlife, even as the Trump administration rolls back or eliminates their federal protections. SB 49 would help protect the western snowy plover, California red-legged frog, and California gnatcatcher, as well as whales, sea turtles, and southern sea otters, on top of dozens of other imperiled species. 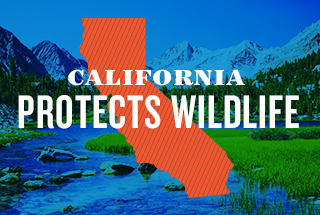 Please continue to make California a national leader in resisting the Trump administration's anti-environment agenda, and commit to protecting California's iconic wildlife. Thank you.